If you want to feel comfortable during your holidays in Chiang Mai, you just found the right place to stay! This charming 230 sqm penthouse is composed of 2 bedrooms, 1 bathroom and 1 kitchen. There is a stunning 360° panoramic view on the mountains and the city. The 140 sqm private terrace will offer you a unique sunset/sunrise in Chiang Mai. 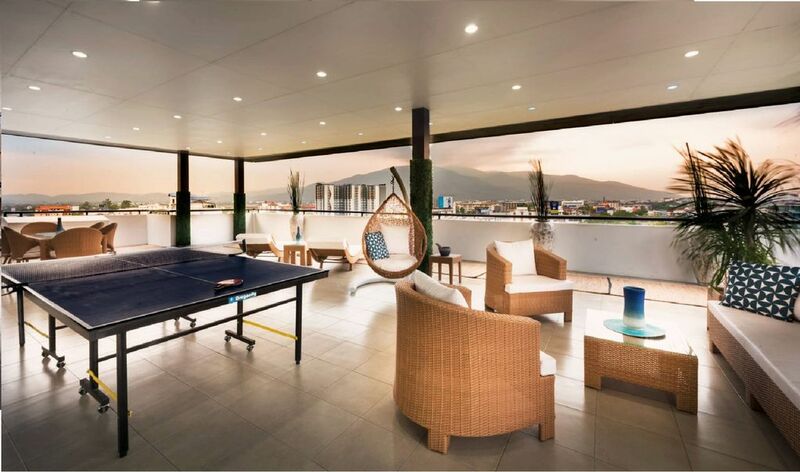 One thing is sure, you will love your stay in this amazing penthouse! Originally from France I have been living in Chiang Mai since 5 years. I love to travel myself and explore other cultures but Thailand is a special place for me. Something about the smells, the spicy food and fresh ripe fruit just makes me happy that I call this country my home. As a host I love to meet new people and share my wealth of local knowledge. Having a serious passion for quality food I love to preach about my favorite restaurants! Penthouse was nice as was the view.